Caution New Driver - newly licensed, "permit" and first year. So how is it, being the parent of a 16-year-old? I KNOW, RIGHT? 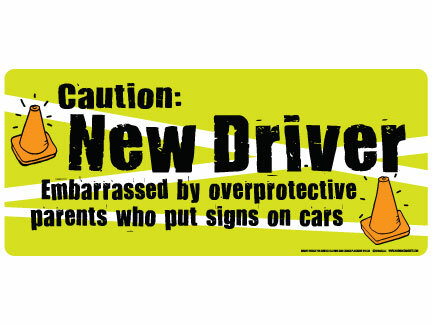 We know you are searching for new ways to get those teenaged eyes to roll, and what better way to do that than with this magnet that states the obvious? 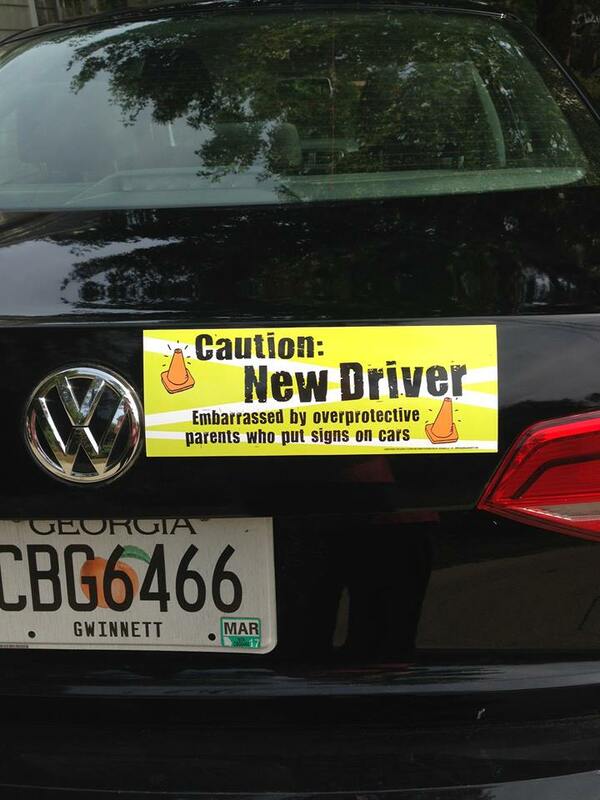 "Caution: New Driver, embarrassed by overprotective parents..." Announce to the world that you care enough to embarrass your child in order to keep them safe. In about 30 years, you'll be able to relax (so we're told). (Size is 4" tall by 11" wide.) Quantity Discounts are applied because you know all of their friends will want one, too!